It isn’t what Eckhardt says that bothers me as much as what he doesn’t say. My mother and my aunt both chose faith healing over modern medicine. They were convinced that prayers and fasting alone could save them. My aunt had tuberculosis. Nobody dies of tuberculosis anymore, but she did — helped along by lack of medical care, malnutrition and starvation. My mother had breast cancer. When her sister died needlessly my mother consented to see a doctor — much too late to make a difference. I believe in faith healing, but I don’t believe it precludes seeing a doctor. John Eckhardt did NOT say one shouldn’t seek medical help, but I kept reading it there between the lines. That could simply be because of my own family history. 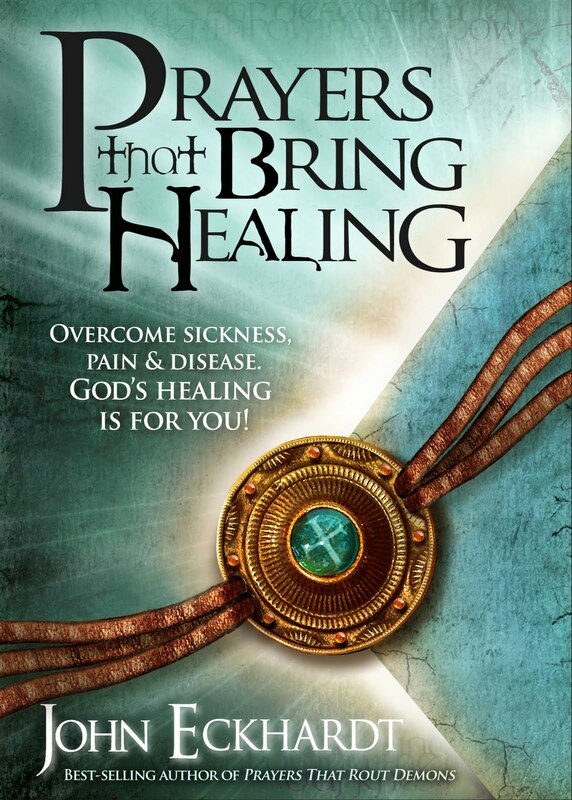 Even so, recommending this book would make me very uncomfortable for fear for the people who would close off avenues of God’s healing by refusing to consider faith and medical aid. 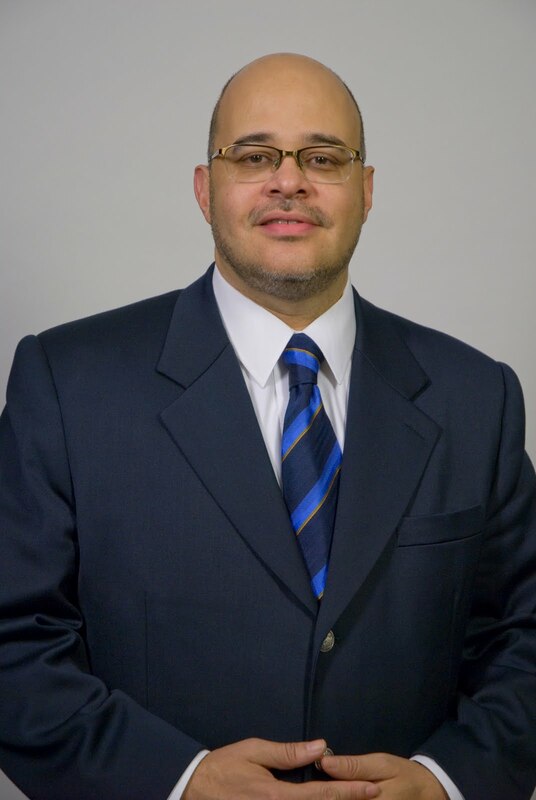 Apostle John Eckhardt is overseer of Crusaders Ministries, located in Chicago, Illinois. Gifted with a strong apostolic call, he has ministered throughout the United States and overseas in more than eighty nations. He is a sought-after international conference speaker, produces a weekly television program, Perfecting the Saints, and has authored more than twenty books, including Prayers That Rout Demons, Prayers That Break Curses, and God Still Speaks. Eckhardt resides in the Chicago area with his wife, Wanda, and their five children. And when the unclean spirit had convulsed him and cried out with a loud voice, he came out of him. . . . And immediately His fame spread throughout all the region around Galilee. . . . Now at evening, when the sun had set, they brought to Him all who were sick and those who were demon-possessed. And the whole city was gathered together at the door. Then He healed many who were sick with various diseases, and cast out many demons. When people got word that Jesus was coming to their region, they made way to meet Him. Some traveled far on foot or donkey. Some tarried with Him for days on end with no food. Some who were crippled or maimed were carried into town by friends and family. One person’s friends tore up somebody’s roof and lowered him into the house Jesus was visiting. Multitudes of people pressed and prodded against each other at the risk of being trampled just to get close to Jesus. Their healing, deliverance, and hunger for the Word were so valuable to them that they put their lives on hold and safety at risk. They knew that if they could just get into Jesus’s presence, all their worries would be subsided and their needs met. How much is your healing worth to you? Are you willing to travel long distances, go without food, brave large crowds, and do whatever it takes to get to the place where the anointing is active and effective? People came to hear Jesus because He created a demand by setting people free. When people hear of miracles, they will gather to hear the Word of God. They will come with expectancy and faith and draw from the anointing of the servant of God. There is no substitute for miracles. They will cause a hunger to come into the hearts of people. Hungry hearts will always gather and put a demand on the anointing. If we want hungry people, we must have miracles. Some churches wonder why their people are so unconcerned and apathetic about serving God. People drag to service. Some pastors will try all kinds of programs to raise the excitement of the people, but there is no substitute for doing it God’s way. Where there are miracles, there will be people gathered. Miracles increase the authenticity of our salvation, and people come to value the presence of God more and more. Faith levels rise when miracles happen. As people gathered to hear the Word, there was not enough room. This was the result of ÒHis fame spread abroad throughout all the region around Galilee.Ó I like ministering in packed houses. When a church is filled up, there is a higher level of expectancy and faith among the people. It shows how much the people in that area value the anointing and how much they desire to be healed. When a church is half empty, it seems to be harder to minister. We need the anointing to build churches–but we also need the anointing to fill them. I have been to churches that seated a thousand and only a hundred showed up. Some only show up because the pastor tells them to, or they are just in the habit of going to church. Miracles, prophecies, and healing will not flow out of the servant of God to the extent that they will where there is a demand. Of course, a minister can stir up the gifts of God and minister by faith. However, when the faith of the people is high, it is much easier to minister. The giving and receiving of the anointing is a give-and-take relationship. The more you want to receive and the more value it has for you, the more you will demand it and draw from it, and the more the Holy Spirit will flood the minister with the anointing so that all who are touched will be healed. Jesus could, in His own hometown, do no mighty work because of their unbelief. Unbelief hinders the flow of the anointing. Faith releases the flow. Unbelievers will not put a demand on the anointing, but believers will. The more people hear and are taught about the anointing, the greater will be their capacity to put a demand on it. As a pastor of a local church, I teach the members about different gifts and anointings. When I teach about the gift of healing, this builds their faith for healing. When ministers come to minister at our church, I tell the members about the anointing on the person’s life. They then have the responsibility to draw from and put a demand on that anointing by their faith. You will find that most of the people who received miracles from Jesus either came or were brought to Him. Many beseeched Him. And it came to pass, that the father of Publius lay sick of a fever and of a bloody flux: to whom Paul entered in, and prayed, and laid his hands on him, and healed him. So when this was done, others also, which had diseases in the island, came, and were healed: who also honoured us with many honours; and when we departed, they laded us with such things as were necessary. After the father of Publius was healed, the whole island of Melita came to be healed. That one miracle increased the value of Paul’s anointing. It caused the people to do whatever they could to get some of what Paul had. Notice, they honored Paul with many honors. Honoring the servant of God is a key to receiving from the anointing in his or her life. We will talk more about honor in a later chapter. The scripture states that the people came. They came with the sick, expecting to be healed. They put action on their faith and came. Passive, apathetic saints do not receive from the anointing. We cannot be passive and expect to receive from these gifts. We must be active with our faith. People have to have a hunger and thirst for the things of the Spirit. Hungry souls will always draw from the anointing. How much is your healing worth to you? How far will you follow the leading of God to capitalize on all He has for you? O God, let me see You face-to-face so that my life will be preserved (Gen. 32:30-31). I will follow the instructions of the man of God, so that my body is restored like that of a little child and I will be clean (2 Kings 5:14). I declare that it is well with my family and me, no matter what it looks like to my natural eyes. I will go and seek out the man of God that he may stretch his anointing over the dead places in our health. He will breathe into us, and we will rise up to new life (2 Kings 4:8-37). I will follow You, Lord Jesus. I cry out to You, ÒSon of David, have mercy on me!Ó I believe that You are able to heal me and restore me. Touch me and let it be to me according to my faith (Matt. 9:27-30). Son of David, have mercy on me and do not send me away. I have come from a far region crying out to You for healing. I worship You, O Lord. Help me! I am hungry for even the crumbs that fall from Your table. Let my healing come to me as I desire (Matt. 15:22-28). Jesus, I come to You in the midst of the multitude. I am hungrier for Your healing than for food. I feel Your compassion for me and know that You will heal me (Matt. 15:30-33). I will fast according to Your leading. Then I know that my healing will break forth like the morning. My healing will spring forth speedily (Isa. 58:6-8). I have walked before You, O Lord, in truth and with a loyal heart. I have done what is good in Your sight. I weep bitterly before You. I know You have heard my prayer and have seen my tears. Surely You will heal me (2 Kings 20:3-5). I humble myself before You, O God. I pray and seek Your face. I turn from my wicked ways. Then I know You will hear from heaven. You will forgive my sin and heal me (2 Chron. 7:14). Have mercy on me, O Lord, for I am weak. Heal me, for my bones are troubled (Ps. 6:2). Lord, be merciful to me and heal my soul (Ps. 41:4). I declare that this is my time to be healed (Eccles. 3:3). You have seen my ways and will heal me. You will also lead me and restore comforts to my mourners and to me (Isa. 57:18). Words of praise are on my lips. May peace be unto me, for the Lord will heal me (Isa. 57:19). Heal me, O Lord, and I will be healed. Save me and I will be saved. You are my praise (Jer. 17:14). You will restore health to me and heal me of all my wounds (Jer. 30:17). You will bring health and healing to me. You will heal me and reveal to me the abundance of peace and truth (Jer. 33:6). You have said, ÒI will come and heal himÓ (Matt. 8:7). The power of the Lord is present to heal me (Luke 5:17). Let news of Your healing power, O Lord, be like a ripple effect, causing all those near and far to come so that they will be healed (Acts 28:8-10). Let many gather together so that there be no more room to receive them, that they may hear the preaching of the Word and be healed (Mark 2:2). I will press against the crowds, fight my way through traffic, and let no one stop me until I get into Your presence. If only I can touch the hem of Your garment, I know I will be made whole (Mark 5:27-28). I hunger and thirst for Your righteousness, and I know I will be filled (Matt. 5:6). I will cease from anger and put away wrath to stay connected to God. If I wait on Him, I will inherit the earth (Ps. 37:8-9). My whole body is sick, and my health is broken because of my sins. But I confess my sins and am deeply sorry for what I have done. Do not abandon me, O Lord. Come quickly to help me, O Lord my Savior (Ps. 38:3, 18, 22, nlt). I will speak soft words, kind words, and words of life to turn wrath and anger away from me. I will not grieve anyone with my words (Prov. 15:1). I will appease the strife against my health and my family by being slow to anger (Prov. 15:18). I am better than the mighty because I control my anger. There is more gain in ruling my spirit than conquering a city (Prov. 16:32). I use discretion to defer my anger; I earn esteem by overlooking wrongs (Prov. 19:11). I will not sin against my own soul by provoking the King to anger (Prov. 20:2). I will silence anger with a secret gift (Prov. 21:14). I declare that anger’s reign in my life will come to an end (Prov. 22:8). I cast out the cruelty and destruction of wrath and anger. They will not flood my emotions any longer (Prov. 27:4). I will be slow to anger and will keep its clutches from resting in my bosom (Eccles. 7:9). Let all wrath and anger be put away from me (Eph. 4:31). I am a new person, having been renewed after the image of Him who created me; therefore, I put off anger (Col. 3:8-10). I will not discourage my children by provoking them to anger (Col. 3:21). Lord, I give the bitterness of my soul to You. Please look upon my affliction and remember me. I will go in peace because You have granted my petition (1 Sam. 1:10-11, 17). I will speak openly to You, O Lord, and release all of my bitterness to You (Job 7:11). I will speak to You, God, in the bitterness of my soul. I will find the root of why my spirit contends with Yours (Job 10:1-2). I declare that I will not die in the bitterness of my soul, and I will eat with pleasure (Job 21:25). My heart knows its own bitterness (Prov. 14:10); I release it to You. I will raise wise children who will cause me no grief or bitterness (Prov. 17:25). I had great bitterness, but in love You delivered me from the pit of corruption. For You have put all my sins behind Your back (Isa. 38:17). I was in bitterness and in the heat of my spirit, but the hand of the Lord is strong upon me (Ezek. 3:14). I repent of my wickedness and pray to God that the thoughts of my heart be forgiven, for I am bound by bitterness and iniquity (Acts 8:21-23). My mouth is full of cursing and bitterness, but You have shown me a better way and I have been made right in Your sight (Rom. 3:14, 21-22). I diligently look within myself so that I will not be defiled by any root of bitterness that may spring up (Heb. 12:15). I will go to my brother and ask that he forgive me of my trespasses against him (Gen. 50:17). I pray that my brother will forgive me so that when I go before God, He will take this death away from me (Exod. 10:17). Like Moses, I come to You asking Your forgiveness on behalf of Your people and myself. Thank You, God, that You forgive all those who sin against You, for You have blotted them out of Your book (Exod. 32:32-33). God, I thank You that when You hear our prayers You also forgive us (1 Kings 8:30). You have heard from heaven, forgiven my sin, and have delivered me into the land You promised my fathers (1 Kings 8:34). You have heard from heaven, forgiven my sin, and have taught me the good way in which I should walk (1 Kings 8:36). You have heard from heaven, forgiven my sin, and will do and give me according to my ways because You know my heart (1 Kings 8:39). Forgive me of my sins, and have compassion upon me (1 Kings 8:50). I am called by Your name and have humbled myself before You. I pray and seek Your face and have turned from my wicked ways. Now You will hear from heaven and forgive my sin and heal me (2 Chron. 7:14). Look upon my affliction and my pain, and forgive all my sins (Ps. 25:18). You, O Lord, are good and ready to forgive. Your mercy is plentiful to all those who call on You (Ps. 86:5). The Lord declares that He will forgive my iniquity and remember my sin no more (Jer. 31:34). O Lord, hear. O Lord, forgive. O Lord, listen and do! For I am called by Your name (Dan. 9:19). As I forgive others, Lord, I pray that You will forgive me (Matt. 6:12). I will forgive those who have wronged me, because if I don’t, God will not forgive me (Matt. 6:14-15). You have healed me and said, ÒArise and take up your bed,Ó so that I will know that You have the power to forgive sins on Earth (Matt. 9:6). Like the servant who owed the king ten thousand talents, I too have been forgiven much. Therefore, I will go and forgive all those who have sinned against me so that I will not be given over to the tormentors (Matt. 18:23-35). I will forgive any person with whom I have ought, so that when I stand praying, my Father in heaven will forgive me also (Mark 11:25). If I forgive others, I will be forgiven (Luke 6:37). Forgive me of my sins because I also have forgiven all those whom I felt were indebted to me. Keep me from temptation, and deliver me from evil (Luke 11:4). If my brother hurts me, I will tell him that he hurt me. Then if he asks for forgiveness, I will forgive him. If he continues to hurt me and asks for forgiveness each time, I will forgive him every time (Luke 17:3-4). With Jesus, I pray, ÒFather, forgive them, for they do not know what they doÓ (Luke 23:34). I declare that Satan will not get an advantage over me, because I walk in forgiveness just as Christ did. I am not ignorant of the devil’s devices (2 Cor. 2:10-11). I confess my sins before God, and I know that God is faithful and just to forgive me and to cleanse me from all unrighteousness (1 John 1:9). I confess my faults to my fellow believers, and we pray for one another so that we will be healed, because the earnest prayer of a righteous person has great power and wonderful results (James 5:16). I have been sent to the Gentiles to open their eyes, turn them from darkness to light, and deliver them from the power of Satan, so that they may receive forgiveness (Acts 26:18). Through Christ’s blood, I have been redeemed and have received forgiveness for my sins and riches according to His grace (Eph. 1:7). Father God, you have delivered me from the power of darkness and translated me into the kingdom of Your Son in whom I have been redeemed and forgiven of all my sins (Col. 1:13-14). I will obey the voice of my Father according to all He has commanded me (Gen. 27:8). I will arise and obey Your voice and flee from my enemies (Gen. 27:43-44). I have a special treasure in the Lord because I obey His voice and keep His covenant (Exod. 19:5). I will obey the voice of the angel of the Lord to keep me in the right way and bring me to a place that God Himself has prepared for me (Exod. 23:20). I will obey the angel of the Lord, for he will not pardon my sin because the name of the Lord is in him (Exod. 23:21). As I obey the angel of the Lord and do all that God has spoken through him, my enemies will be God’s enemies (Exod. 23:22). I am blessed because I obey the commandments of the Lord (Deut. 11:27). I will walk after the Lord my God and fear Him, keep His commandments and obey Him. I will serve Him and cleave to Him (Deut. 13:4). I will obey the voice of the Lord my God and do all of His commandments and statutes that He has commanded me this day (Deut. 27:10). I will be left in number if I do not obey the voice of the Lord (Deut. 28:62). I will return to the Lord my God. I will obey His voice according to all He commands me. With all my heart and soul, from generation to generation, my children and I will obey God. Then the Lord will set us free from any captivity of the enemy, and He will have compassion on us (Deut. 30:2-3). The Lord my God will put curses on all my enemies because I obey His voice and do all that He has commanded me (Deut. 30:7-8). The Lord my God will make me plenteous in all the work of my hand, in the fruit of my body, and in the fruit of my land. He will rejoice over me because I obey Him and hearken to His voice (Deut. 30:9-10). I obey the voice of the Lord, for He is my life, and in Him are the length of days (Deut. 30:20). I will serve the Lord my God, and His voice I will obey (Josh. 24:24). I will not refuse to obey the voice of the prophet of God (1 Sam. 8:19). I will fear the Lord, serve Him, and obey His voice. I will not rebel against the commandments of the Lord. The hand of the Lord is with me (1 Sam. 12:14-15). My obedience to the voice of the Lord is better than any sacrifice (1 Sam. 15:22). I will not be like the fathers of Israel. I will be humble and submit to obeying the Lord. I will be mindful of the wonders that God does on my behalf, for He is gracious and merciful, ready to pardon, slow to anger, and of great kindness. He has not forsaken me (Neh. 9:16-17). I will spend my days in prosperity and my years in pleasures. I will not perish and die without knowledge, because I obey and serve the Lord (Job 36:11-12). As soon as I heard of the Lord, I submitted myself to Him and obeyed (Ps. 18:44). The ravens shall not pluck out my eye, neither shall the young eagles eat it. I do not mock my Father, neither do I despise to obey my mother (Prov. 30:17). I will obey Your voice, and You will be my God. I will walk in all the ways that You have commanded me, and it will be well with me (Jer. 7:23). I will obey the voice of the Lord, and He will give to me the land that He swore to my fathers–a land flowing with milk and honey (Jer. 11:4-5). You have risen early, O God, and have pleaded with me, ÒObey My voiceÓ (Jer. 11:7). Lord, You have said that if I do not obey You, You will pluck me up and destroy me (Jer. 12:17). If I do not obey You, You will withdraw the good that You have extended to me (Jer. 18:10). I will amend my ways and my doings. I will obey the voice of the Lord my God, and the Lord will relinquish the evil that He had pronounced against me (Jer. 26:13). I will obey the voice of the Lord so that it will be well with me and my soul will live (Jer. 38:20). Whether I like it or not, I will obey the voice of the Lord my God, that it may be well with me (Jer. 42:6, nlt). Kingdoms and dominions shall be given to me because I obey and serve the Most High (Dan. 7:27). I have transgressed the law and departed from God by not obeying His voice. Now a curse has been poured on me and the oath that God made to me (Dan. 9:11). Those who are far off shall come and build the temple of the Lord, because I diligently obey the voice of the Lord my God (Zech. 6:15). I declare that as the winds and seas obeyed Jesus, the winds and seas that rise up in my life will obey me (Matt. 8:27). With authority I will command even the unclean spirits and they will obey me (Mark 1:27). All those who surround me will fear exceedingly, saying to one another, ÒWhat kind of person is this that even the wind and the sea obey him?Ó (Mark 4:41). With my mustard seed of faith, I will speak to the mulberry tree and command it to be plucked up by the root and planted in the sea, and it will obey me (Luke 17:6). I obey God rather than man (Acts 5:29). God has given me the Holy Spirit because I obey Him (Acts 5:32). I will not be like the fathers of Israel who would not obey but rejected the man of God and turned their hearts back to Egypt (Acts 7:39). Let me not be like those who obey unrighteousness, indignation, and wrath, for tribulation and anguish is their portion (Rom. 2:8-9). Let no sin reign in my body that I should obey its lusts (Rom. 6:12). Whatever I submit myself to obey, I am slave to it, whether it be sin unto death or God unto righteousness (Rom. 6:16). I cast off the enemy of my soul, who tries to bewitch me that I should not obey the truth. Before my eyes Jesus Christ has been clearly portrayed before me as crucified (Gal. 3:1). Let me not run well, then find out at the end that someone or something hindered me from obeying the truth (Gal. 5:7). My children will obey and honor their father and mother so that it will be well with them and that they may live long on the earth (Eph. 6:1-3). My children obey me in all things because this is well pleasing to the Lord (Col. 3:20). I will obey those for whom I work, not with eye service or as a man pleaser, but with sincerity of heart, fearing God (Col. 3:22). I know God and obey the gospel of the Lord Jesus Christ; therefore, I will not be punished with everlasting destruction and banished from the presence of the Lord and the glory of His power (2 Thess. 1:7-9). If I do not obey the word of the apostles, I will have no company with the people of God and I will be ashamed (2 Thess. 3:14). Let me be reminded to be subject to rulers and authorities, to obey, to be ready for every good work, to speak evil of no one, to be peaceable and gentle, showing all humility to all men (Titus 3:1-2). Let me be a son like Christ, who learned obedience by the things He suffered and was made perfect (Heb. 5:8-9). I will obey those who have rule over me. I will submit myself to them because they watch out for my soul, as those who must give account (Heb. 13:17). Like we put bridles in the horse’s mouth, let me bridle my whole body that it may obey (James 3:2-3). Let the wife be subject to her own husband so that even if he is not obedient to the Word, he may be won by the conduct of his wife (1 Pet. 3:1). For the time has come that judgment must begin at the house of God. And if it first begins with us, what will the end be of those who do not obey the gospel of God (1 Pet. 4:17)? I have received grace and discipleship from Jesus Christ my Lord so that I can be obedient to the faith among the nations for His name (Rom. 1:3-6). Jesus, I thank You that by Your obedience many have been made righteous (Rom. 5:19). My obedience has become known to all, but I still must remain wise in what is right and simple concerning evil (Rom. 16:19). The mystery of the gospel is now made manifest and made known to all nations for the obedience of faith (Rom. 16:26). The man of God has greater affection for me because he remembers my obedience (2 Cor. 7:15). I cast down imaginations and every high thing that exalts itself against the knowledge of God, and I bring into captivity every thought to the obedience of Christ (2 Cor. 10:5). I punish all disobedience when my obedience is fulfilled (2 Cor. 10:6). I have been elected according to the foreknowledge of God the Father and sanctified with His Spirit for obedience, and have been sprinkled with the blood of Jesus Christ (1 Pet. 1:2). I have been filled with the spirit of wisdom (Exod. 28:3). I am filled with the Spirit of God, in wisdom, understanding, knowledge, and all manner of workmanship to design artistic works (Exod. 31:3-4). I have been filled with wisdom of heart to do all manner of work (Exod. 35:35). I have been brought to the sanctuary of the Lord with other wise-hearted men, for the Lord has put wisdom and understanding to know how to do all manner of work for the service of the sanctuary according to all the Lord has commanded (Exod. 36:1). I will be careful to observe the statutes of the Lord, for they are my wisdom and understanding in the sight of the nations, who will hear them and say, ÒSurely you are wise and understanding,Ó for who is the person that God is so near that I may call upon Him for any reason? (Deut. 4:6-7). Like Joshua the son of Nun, I am full of the spirit of wisdom (Deut. 34:9). I am wise, according to the wisdom of the angel of the Lord, to know all the things that are in the earth (2 Sam. 14:20). The wisdom of God is in me to administer justice (1 Kings 3:28). Like Solomon, God has given me wisdom, exceedingly great understanding, and a heart as large as the sand on the seashore (1 Kings 4:29). My wisdom excels the wisdom of men (1 Kings 4:30). Because the wisdom of God is in me, people will come to hear my wisdom, even the kings of the earth (1 Kings 4:34). The Lord has given me the wisdom He had promised to me, as He did with Solomon (1 Kings 5:12). Because of the wisdom of God upon my life, people will come from all around to see the true report of my acts and wisdom and prosperity. People who work with me are happy and will stand before me continually to hear the wisdom of God (1 Kings 10:6-8). Because of the wisdom of God upon my life, my riches and wisdom will exceed all the kings of the earth. People will seek out my wisdom, which God has put in my heart (1 Kings 10:23-24). Only the Lord gives me wisdom and understanding that I may keep the law of the Lord my God (1 Chron. 22:12). Give me now wisdom and knowledge that I may go out before Your people (2 Chron. 1:10). Because it was in my heart to ask God for wisdom and knowledge that I may serve God’s people, and not riches, wealth, honor, the life of my enemies, or long life, wisdom and knowledge have been granted to me (2 Chron. 1:11-12). After the wisdom of my God that is set in my hand, I will set magistrates and judges for the people of God, so that they may know the laws of God (Ezra 7:25). May I not die without wisdom (Job 4:21). May God show me the secrets of wisdom, for they double my prudence (Job 11:6). Let me be like the aged men, for wisdom, understanding, and strength are with them (Job 12:12-13). With the Lord are strength and wisdom (Job 12:16). The price of wisdom is above rubies (Job 28:18). I fear the Lord, for in that is wisdom, and to depart from evil is understanding (Job 28:28). Age speaks to me, and the multitude of years teaches me wisdom (Job 32:7). God, You are mighty in strength and wisdom (Job 36:5). God, only You can put wisdom in my mind or give understanding to my heart (Job 38:36). I am made righteous; therefore, my mouth speaks wisdom and my tongue talks of justice (Ps. 37:30). My mouth will speak of wisdom, and the meditation of my heart will be understanding (Ps. 49:3). You, O Lord, desire truth in my inward parts, and in the hidden part You will make me know wisdom (Ps. 51:6). Teach me to number my days so that I may apply my heart to wisdom (Ps. 90:12). How manifold are Your works, O Lord. In wisdom You have made them all. The earth is full of Your possessions (Ps. 104:24). I will fear the Lord, for in that is the beginning of wisdom, and all those who do His commandments have good understanding (Ps. 111:10). I will know wisdom and instruction. I will perceive words of understanding (Prov. 1:2). I receive the instruction of wisdom, justice, judgment, and equity (Prov. 1:3). I am wise; therefore, I will hear and increase my learning. I am a person of understanding; therefore, I will attain wise counsel to understand a proverb and its interpretation and the words of the wise and their riddles (Prov. 2:5-6). I will fear the Lord, for in that is the beginning of knowledge. I will not be a fool who despises wisdom and instruction (Prov. 2:7). I will turn to the reproof and cries of wisdom. I will not be simpleminded or delight in scorning. I will not be like the fool who hates knowledge, but I will receive wisdom that pours its spirit out upon me. I will receive the words that it has made known to me (Prov. 1:20-23). I incline my ear to wisdom and apply my heart to understanding (Prov. 2:2). I cry out for discernment and lift up my voice for understanding. I seek after it as if it were silver or a hidden treasure. Now I know that I will understand the fear of the Lord, and I will find the knowledge of God, because He gives wisdom, knowledge, and understanding out of His mouth (Prov. 2:3-6). God has stored up wisdom for me, and He shields me because I walk uprightly (Prov. 2:7). Wisdom has entered my heart, and knowledge is pleasant to my soul. Now discretion preserves me and understanding keeps me, delivering me from the way of evil and from the man who speaks perverse things (Prov. 2:10-12). I am happy because I have found wisdom and understanding, for it is better than the profits of silver, and its gain than fine gold. Wisdom is more precious than rubies, and nothing I have can be compared to it (Prov. 3:13-15). Length of days is in the right hand of wisdom, and riches and honor are in the left. The ways of wisdom are pleasant, and all her paths are peace (Prov. 3:16-17). I lay hold of wisdom, for she is a tree of life to me, and I am happy when I retain her (Prov. 3:18). By wisdom, the Lord founded the earth, by understanding He established the heavens, and by knowledge the depths are broken up and the clouds drop dew (Prov. 3:19-20). I will not let sound wisdom or discretion depart from my eyes, for they are life to my soul and grace to my neck. With them, I walk safely in my way, and my foot does not stumble (Prov. 3:21-23). I will get wisdom and understanding. I will not forget nor will I turn away from the words of Your mouth. I will not forsake wisdom because she preserves me. I will love her, and she will keep me (Prov. 4:5-6). Wisdom is the principal thing; therefore, I will get wisdom. And with all my getting, I will get understanding (Prov. 4:7). 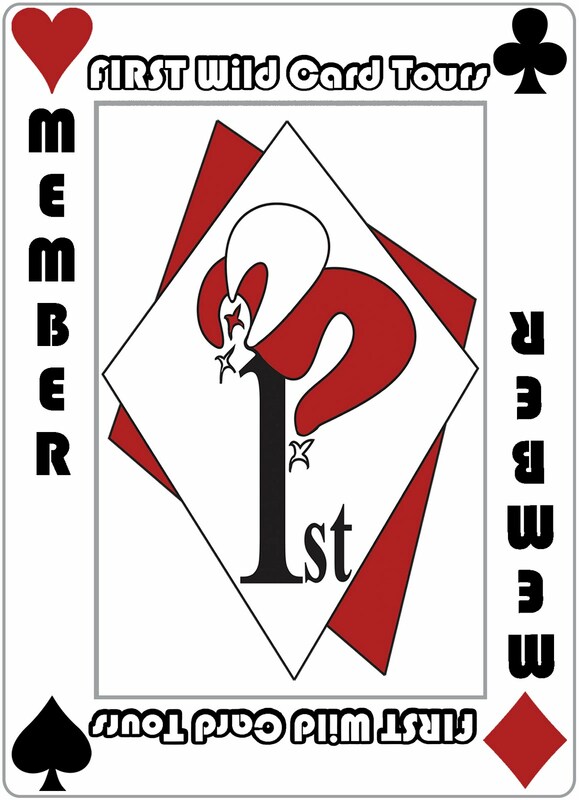 I am promoted because I exalt wisdom (Prov. 4:8). Honor comes to me because I love wisdom (Prov. 4:8). An ornament of grace and a crown of glory are placed upon my head because I embrace wisdom (Prov. 4:9). You have taught me in the way of wisdom and have led me in the right paths. When I walk, my steps are not hindered. When I run, I do not stumble (Prov. 4:11-12). I pay attention to the wisdom of the Lord. I lend my ear to His understanding so that I may preserve discretion and my lips will keep knowledge (Prov. 5:1-2). I love wisdom like a sister, and insight is a beloved member of my family. They hold me back from immoral behavior and from listening to the flattery of strangers (Prov. 7:4-5, nlt). Wisdom cries out to me, and understanding lifts up her voice so that I can hear (Prov. 8:1). I am of a prudent and understanding heart (Prov. 8:5). I speak of excellent things, and from the opening of my lips are right things. My mouth speaks truth, and wickedness is an abomination to my lips. All the words of my mouth are righteous. There is nothing crooked or perverse in them, because I operate with the spirit of wisdom (Prov. 8:6-8). The words of wisdom are all plain to me because I have understanding; they are right to me because I have knowledge (Prov. 8:9). I receive wise instruction and not silver, and knowledge rather than choice gold (Prov. 8:10). For wisdom is better than rubies, and nothing that I desire can compare to it (Prov. 8:11). Because I have wisdom I dwell with prudence and find out knowledge and discretion (Prov. 8:12). Because I have wisdom, counsel and sound wisdom are mine. I am understanding, and I have strength (Prov. 8:14). I have the beginnings of wisdom because I fear the Lord, and the knowledge of His holiness is understanding (Prov. 9:10). Wisdom is found in my lips because I have understanding (Prov. 10:13). I store up knowledge because I am a wise person (Prov. 10:14). I am not a fool who dies in want of wisdom, but the words from my mouth feed many (Prov. 10:21). I am person of understanding; therefore, I have wisdom (Prov. 10:23). My mouth brings forth wisdom (Prov. 10:31). I am humble, and wisdom is with me (Prov. 11:2). As a person who has wisdom and understanding, I hold my peace (Prov. 11:12). Let me be commended according to my wisdom, but I keep my heart from perversion so that I will not be despised (Prov. 12:8). I till my land and am satisfied with bread. Yet if I follow after frivolity, I will be void of understanding (Prov. 12:11). Wisdom is with me because I am well advised (Prov. 13:10). Knowledge and wisdom come easily to me because I have understanding (Prov. 14:6). I will leave the presence of foolish people when I do not perceive in them the lips of knowledge (Prov. 14:7). My wisdom is in understanding my way (Prov. 14:8). Wisdom rests in my heart because I have understanding (Prov. 14:33). I walk uprightly because I have understanding (Prov. 15:21). I am instructed of wisdom because I fear the Lord (Prov. 15:33). It is much better that I have chosen wisdom rather than gold, and understanding rather than silver (Prov. 16:16). I will not be like the man void of understanding and agree to secure a friend’s debt (Prov. 17:18). I set my sights on wisdom because I have understanding (Prov. 17:24). I spare my words and have a calm spirit, because I have knowledge and understanding (Prov. 17:27). I hold my peace and keep my lips shut; even then I appear wise and perceptive (Prov. 17:28). I will not be like the man who isolates himself and seeks his own desire, raging against wise judgment, for he is a fool who does not delight in understanding but delights in expressing his own heart (Prov. 18:1-2). The words of my mouth are like life-giving water. In it are words of true wisdom that are as refreshing as a bubbling brook (Prov. 18:4, nlt). I am one who gets wisdom because I love my own soul. I will keep understanding so that I will find good (Prov. 19:8). None of my human wisdom, understanding, or counsel can stand against the Lord (Prov. 21:30). I will not overwork myself to become rich. I must cease from trying in my own understanding (Prov. 23:4). I will not speak in the hearing of a fool, because he will despise the wisdom of my words (Prov. 23:9). I will buy truth, wisdom, instruction, and understanding and will never sell them (Prov. 23:23). Through wisdom my house is built, and by understanding it is established. By knowledge the rooms will be filled with all precious and pleasant riches (Prov. 24:3-4). I am strong because I am wise and full of knowledge (Prov. 24:5). Let me not be like the fool for whom wisdom is too much, but let me be able to speak wisely in the presence of leaders (Prov. 24:7, nlt). The knowledge of wisdom is my reward, and my expectations for it have been surpassed (Prov. 24:14). My father rejoices in me because I love wisdom, and I do not keep company with immoral people (Prov. 29:3). I receive the rod of correction, for it imparts wisdom, but I disgrace my mother if I am left to myself (Prov. 29:15, niv). I open my mouth with wisdom, and on my tongue is the law of kindness (Prov. 31:26). I have given my heart to seek and search out wisdom concerning all things that are done under heaven (Eccles. 1:13). I see that wisdom excels folly and light excels darkness, for my eyes are in my head but a fool walks around in darkness (Eccles. 2:13-14). I am good in the sight of the Lord, for He gives me wisdom, knowledge, and joy (Eccles. 2:26). The wisdom that God gives me is good with an inheritance, and both wisdom and money are a defense, but only wisdom gives me life (Eccles. 7:11-12). I am stronger than ten mighty men because I have wisdom (Eccles. 7:19). I am wise and able to analyze and interpret things. Wisdom lights up my face and softens the hardness of my countenance (Eccles. 8:1, nlt). Day and night I applied my heart to know wisdom and to see the business that is done on the earth. It was then that I beheld all the work of God (Eccles. 8:16-17). I deliver whole cities with my wisdom, for wisdom is better than strength and weapons of war (Eccles. 9:15-18). I will not give in to even a little folly else my reputation for wisdom and honor will send forth a foul odor (Eccles. 10:1). My heart leads me to do right because I am wise (Eccles. 10:2). Let the wisdom of God bring me success (Eccles. 10:10). Let me not be like the king of Assyria, thinking that by the strength of my hands I have done it, or by my own wisdom I am prudent (Isa. 10:13). For it is the Lord my God who makes me strong and wise. The Spirit of the Lord rests upon me, and the spirit of wisdom and understanding, the spirit of counsel and might, the spirit of knowledge, and the fear of the Lord also rest on me because my delight is the fear of the Lord (Isa. 11:2-3). Wisdom and knowledge are my stability in these times. They are the strength of my salvation, and the fear of the Lord is my treasure (Isa. 33:6). I will not reject the word of the Lord, for what wisdom is there in that? (Jer. 8:9). I do not glory in my own wisdom, might, or riches, but I glory in knowing and understanding the Lord. He is the I AM, who exercises loving-kindness, judgment, and righteousness in the earth. In these things I do delight (Jer. 9:23-24). I thank You, Lord, for You have made the earth by Your power, established the world by Your wisdom, and stretched out the heavens by Your understanding (Jer. 51:15). I know that You will extend Your power, wisdom, and understanding to heal me. Let it not be to me that I get rich through my own wisdom and understanding. Let my heart not be lifted up because of worldly riches (Ezek. 28:4-5), but let me humbly receive the wisdom and understanding that God gives, so that I will be made whole–body, mind, and spirit. Let it not be to me that strangers or the most terrible of nations come upon me to draw their swords against the beauty of my wisdom and defile me (Ezek. 28:7), but let me be wrapped in humility and covered by the mighty hand of the only wise God so that all of His promises to heal me will come to pass. Like Daniel, I am presented before the king as a child with no blemish. I am well favored and gifted in all wisdom, possessing knowledge, and quick to understand (Dan. 1:4). Like Daniel and his friends, God has given me knowledge and skill in learning and wisdom and understanding in all dreams and visions (Dan. 1:17). In all matters of wisdom and understanding, I am found ten times better than all the magicians and astrologers in this realm (Dan. 1:20), for by His might God has empowered me with His Spirit and healed my mind. Like Daniel, I will answer those who inquire of me with counsel and wisdom (Dan. 2:14). With Daniel I bless the name of God forever and ever, for wisdom and might are His. He changes the times and seasons; He removes kings and sets them up. He gives wisdom to the wise and knowledge to them who have understanding. He reveals deep and secret things; He knows what is in the darkness, and light dwells with Him (Dan. 2:20-22). I thank You and praise You, God of my fathers, for You have given me wisdom and might. You have made known to me what I have asked of You (Dan. 2:23). Secret things have not been revealed to me to show that I am wiser than anyone else, but they have been revealed to benefit the people so that they will understand what is in their own hearts (Dan. 2:30). Kings and rulers will hear of me and the Spirit of God that dwells in me. They will know that light, understanding, and excellent wisdom are found in me (Dan. 5:14). I will listen for the voice of the Lord that cries out in my city. I will fear His name because I am wise. I will heed the rod and the One who appointed it (Mic. 6:9, niv). Like the queen of the south, I will arise from wherever I am to hear the wisdom of the One greater than Solomon (Matt. 12:42). Like Jesus, I have been sent out to teach in my own city, and they will ask, ÒWhere did this person get such wisdom and these miraculous powers?Ó (Matt. 13:54). Many will wonder where my wisdom and gifts of teaching, healing, and miracles come from (Mark 6:2), and they will know that they come from the Lord God who has healed me. Like Jesus, I go forth in the spirit and power of Elijah to turn the disobedient to the wisdom of the just (Luke 1:17). I grow and am strong in spirit, filled with wisdom, and the grace of God is upon me (Luke 2:40). Like Jesus, I increase in wisdom and stature and in favor with God and man (Luke 2:52). The fruit of my life shows the wisdom of God that dwells in me (Luke 7:35). For the Lord will give me a mouth and wisdom, which none of my adversaries will be able to contradict or resist (Luke 21:15). I am a person of good reputation, full of the Holy Spirit and wisdom (Acts 6:3). Those who rise up in dispute against me will not be able to resist the wisdom and the Spirit by which I speak (Acts 6:9-10). Like Joseph, God has delivered me from all my afflictions. He has given me favor and wisdom (Acts 7:10). Like Moses, I am learned in all wisdom and am mighty in words and deeds (Acts 7:22). O God, how deep are the riches of Your wisdom and knowledge! Your judgments are unsearchable, and Your ways are past finding out (Rom. 11:33). I will not be wise according to the flesh, for God has chosen the foolish things of the world to put the wise to shame, the weak things to shame the mighty. No flesh will glory in His presence. I glory in the Lord (1 Cor. 1:26-31). I do not come with excellent speech or my own wisdom, for I am determined to know nothing else except Jesus Christ and Him crucified (1 Cor. 2:1-2). My speech and my preaching are not with persuasive words of human wisdom but in demonstration of the Spirit and power, that faith will stand in God and not in the wisdom of men (1 Cor. 2:4-5). I speak wisdom among those who are mature, but not wisdom of this world or of the princes of this world. I speak the wisdom of God that He ordained before the world for our benefit (1 Cor. 2:6-7). The things I speak are not in the words of man’s wisdom, but those that the Holy Spirit teaches, comparing spiritual things with spiritual (1 Cor. 2:13). The wisdom I have is not the wisdom of this world, for it is foolishness with God. Therefore, I do not glory in men, because all things are God’s (1 Cor. 3:19, 21). Let it be that I profit from the gifts of the Spirit, for He gives to one the word of wisdom and to another the word of knowledge (1 Cor. 12:8). I am conducting myself in the world with simplicity and godly sincerity, not with fleshly wisdom but by the grace of God (2 Cor. 1:12). God has poured out to me all wisdom and prudence, having made known to me the mystery of His will, according to His good pleasure (Eph. 1:8-9). May God give me the spirit of wisdom and revelation in the knowledge of Him. Let the eyes of my understanding be enlightened so I will know the hope of His calling and the riches of the glory of His inheritance (Eph. 1:17-18). I preach among the Gentiles the unsearchable riches of Christ with the intention of making known the manifold wisdom of God to the principalities and powers in the heavenly places (Eph. 3:8, 11). I preach Christ, the hope of all glory, warning every man and teaching them in all wisdom so that they may be presented perfect in Christ Jesus (Col. 1:28). I will not impose upon myself religious regulations, for in them are the appearance of wisdom, humility, and neglect of the body, but they have no value against the indulgence of the flesh (Col. 2:23). Let the Word of Christ dwell in me richly in all wisdom, and I will teach and admonish my fellow believers in psalms and hymns and spiritual songs with grace in my heart to the Lord (Col. 3:16). I will walk in wisdom toward those who are without, redeeming the time (Col. 4:5). I will ask God for any wisdom that I lack, and He will give it to me liberally (James 1:5). Let me not be filled with bitter envy and strife in my heart, for this wisdom does not come from above but is earthly, sensual, and demonic (James 3:14-15). Let me be filled with the wisdom from above, for it is pure, peaceful, gentle, willing to yield, full of mercy and good fruits, and without partiality and hypocrisy (James 3:17). I say with a loud voice, Ò Worthy is the Lamb who was slain to receive power, riches, wisdom, strength, honor, glory, and blessingÓ (Rev. 5:12). Doug — I don’t mean to denigrate the book or the beliefs, most of which I share, but I think people who lean toward extremes need a bit more guidance than this book offers. Quilly, I struggle with this when people choose to forego medical treatment as well. All medical discoveries have been revealed to us by God, so it’s not as if He isn’t in there! My brother (a physician) said one of the most humbling realizations he had in medical school is that doctors can do absolutely NO healing. They can only assist the body’s natural (God given) processes for healing. When he came to understand that, he said he became a much more effective physician. Kelley — thank you. That’s exactly how I feel. I think that was a very wise opinion you gave there dear! I have not had anyone close to me die for refusing to seek medical help — but I still believe the two go hand in hand! I DO absolutely believe God CAN heal ANYTHING completely. I think He is far more likely to DO it when other options are unavailable. Melli — I think we have every right to petition God for healing and I believe he is capable of providing whatever healing we need — but I think God is the one who gets to decide when and how. Linda — I believe God can use doctors and other common place people and things to work his miracles. After all, penicillin is a miracle, is it not? I had a former pastor who used to say, “God can heal with medicine, without medicine, or in spite of medicine.” I’ve been wonderfully blessed by excellent doctors, and I am so glad for the plethora of medicines available today. I think they are a tool in His hand. I appreciate your reservations with this book. The title makes it sound like some type of magic formula prayer is needed. Barbara, there is much good in the book, but the things that are left unsaid seemed to imply that if one’s prayer doesn’t result in healing it is because one isn’t really a Christian and doesn’t believe in God enough.